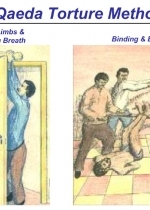 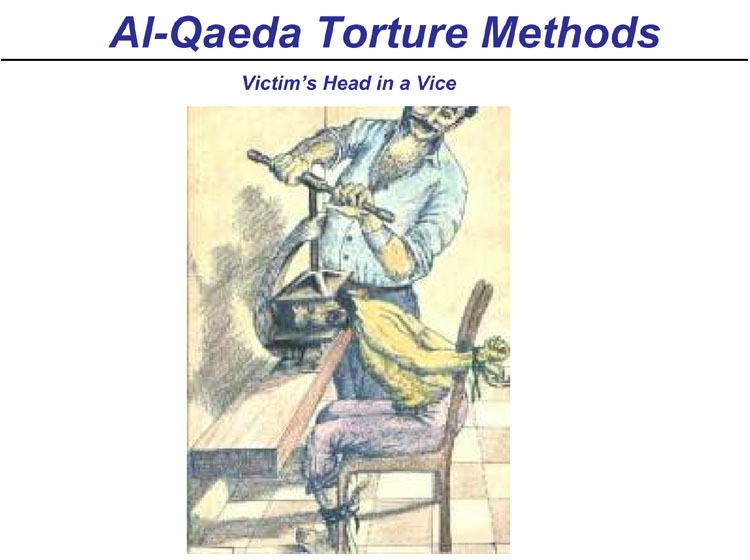 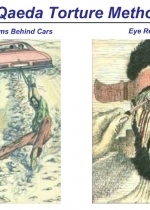 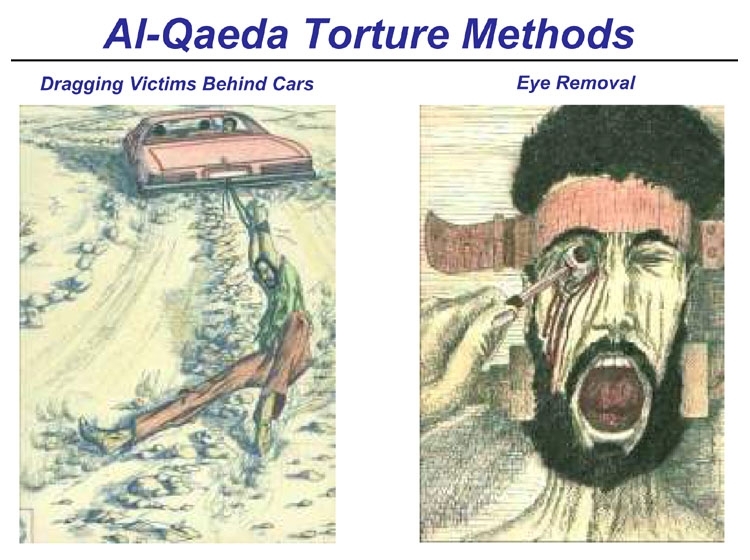 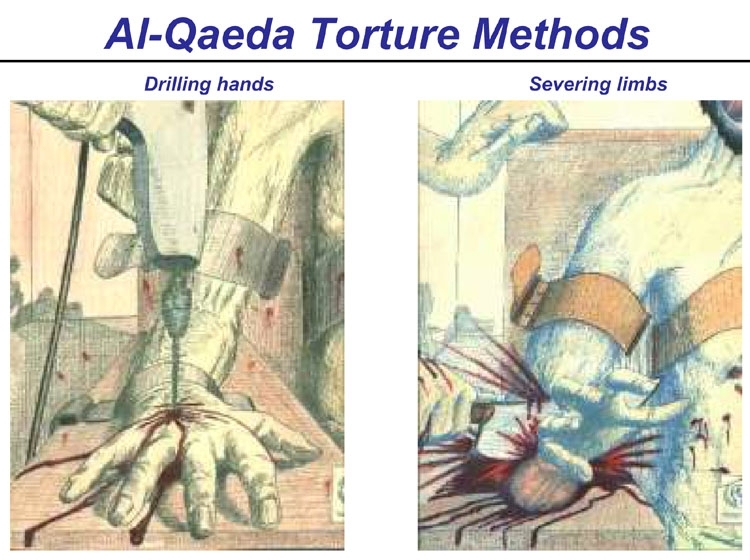 MAY 24--In a recent raid on an al-Qaeda safe house in Iraq, U.S. military officials recovered an assortment of crude drawings depicting torture methods like "blowtorch to the skin" and "eye removal." 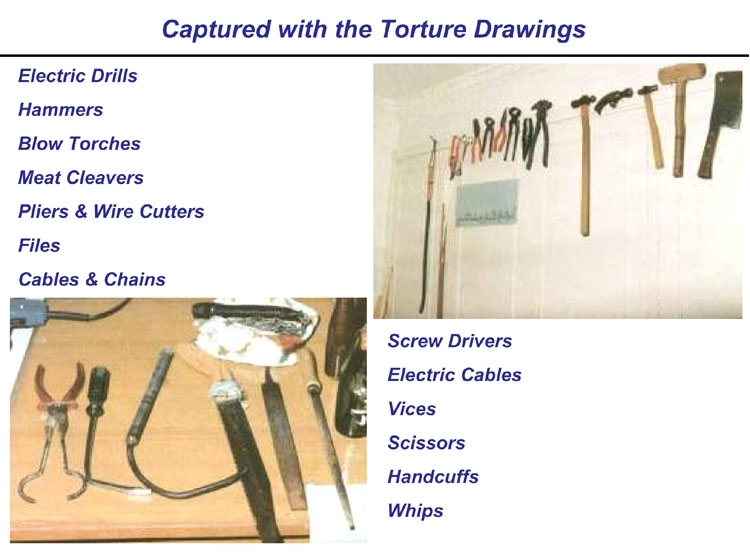 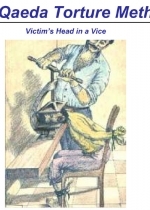 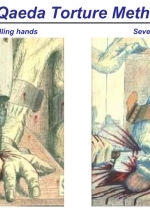 Along with the images, which you'll find on the following pages, soldiers seized various torture implements, like meat cleavers, whips, and wire cutters. 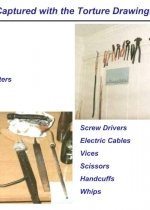 Photos of those items can be seen here. 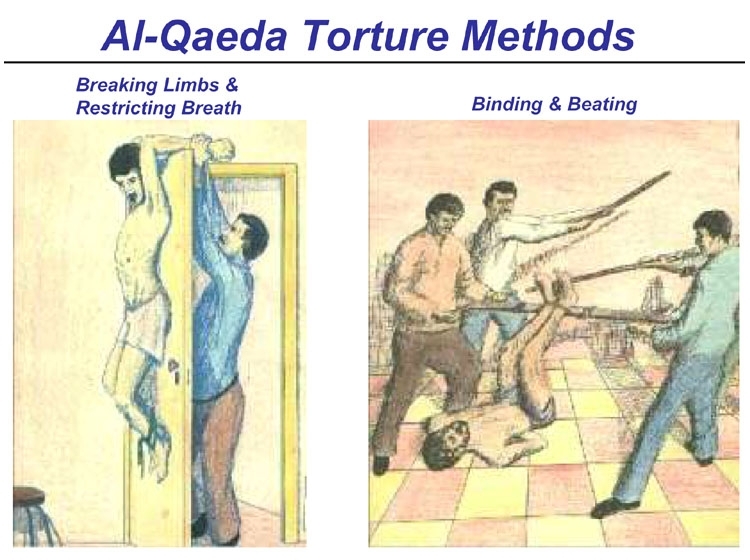 The images, which were just declassified by the Department of Defense, also include a picture of a ramshackle Baghdad safe house described as an "al-Qaeda torture chamber." 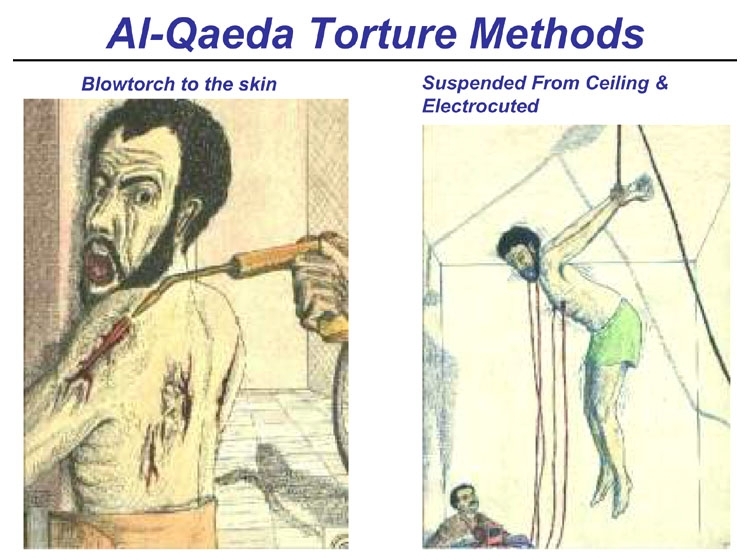 It was there, during an April 24 raid, that soldiers found a man suspended from the ceiling by a chain. 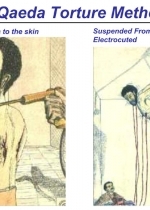 According to the military, the victim had been abducted from his job and was being beaten daily by his captors.